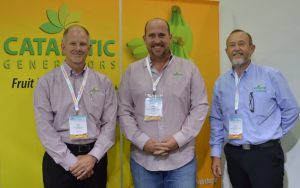 Fruit ripening by ethylene application used to be a risky business. 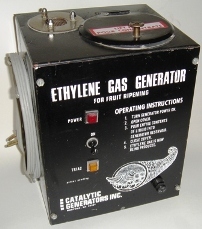 Bulky cylinders and awkward lecture tubes made the entire process difficult, expensive, unpredictable and sometimes dangerous, which is why we started Catalytic Generators, LLC. We knew there had to be a better way. Now ripeners in Australia have this technology readily available! 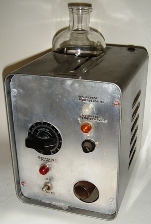 The trickle system: Our process of ethylene production is controlled by a mini-computer inside of each generator. It is intelligently engineered to regulate the conversion of Ethy-Gen® II and allows calculated and small amounts to enter the heated catalyst chamber. This precise control permits the generator to continuously emit ethylene…the “trickle” method as the ripening industry refers to it, for better, uniform fruit ripening. The result is a system that is reliable, robust and safe, while creating enough ethylene to ripen tons of fruit. Not only does our system offer these advantages, but also the fact that you cannot create an explosive amount of ethylene in ripening rooms using Catalytic Generators and Ethy-Gen® II (minimum room size is 43m3). 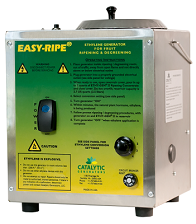 Contact Catalytic Generators Australia today to see how easy, safe and affordable it is to apply ethylene to fruit with our system. 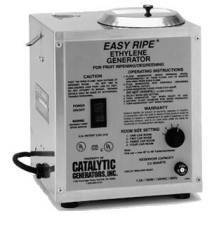 Contact Catalytic Generators Australia in Melbourne, Australia for more information or to order our generators and Ethy-Gen® II Concentrate.